Catalonia’s independence referendum hasn’t gone to plan, with people prevented from voting, riot police storming polling booths and injuries reported all over Catalunya. I’ve written about the region’s “national anthem”, El Segadors – The Reapers, before. It’s a dark, sludge of a tune, all about murdering Castilians (it was written in the 1640s when Catalunya was fighting an uprising against the rest of Spain). Given what’s happened – the contempt towards the vote – it’s unsurprising the anthems’s everywhere, although it really isn’t the most rousing song for a moment like this, is it? Iraq’s politicians are set to reach agreement soon on an issue they have been arguing about for almost a decade: a new national anthem. It may sound trivial, but Iraq has been searching for one ever since Saddam Hussein’s fall in 2003. The U.S. administrator, L. Paul Bremer III, selected the current song, “Mawtini” (My Homeland), after hearing it at a concert in 2004. But it was always meant to be a stopgap. The reason it has taken so long is ethnicity. Any suggestions put forward over the years have soon collapsed over arguments about whether the author was Sunni, Shiite or Kurd, and what part he played in Saddam’s regime. The proposed solution to these rows is a novel one. The main verse will be a poem by Iraq’s most famous writer, Muhammad al-Jawahiri — a choice no one can argue with. But the final words, “Long live Iraq,” will be sung in Arabic, Kurdish, Turkmen and even Assyrian. It might have the desired effect. I’ve spoken to several Kurds about it, from footballers to civil servants, and they all felt it was a positive move — a sign that they are being accepted (Kurds make up 15-20 percent of Iraq’s population). What’s surprising to learn, though, is that South Africa may be the only other country that has a multilingual anthem. Its anthem features five languages and has been widely celebrated as helping bring the country together after apartheid. Perhaps it’s time we had more anthems like this. At first glance, this may appear to be a silly suggestion. In the United States, for example, more than 12 percent of the population speaks Spanish at home, but just try to add a few words of it to the “Star-Spangled Banner.” The same goes for France, where no one would contemplate adding words in Arabic to the “Marseillaise,” despite the large North African populations. But elsewhere the idea may not be so easily dismissed. Kosovo’s anthem has no words due to the sharp divide between Albanian and Serbian speakers. 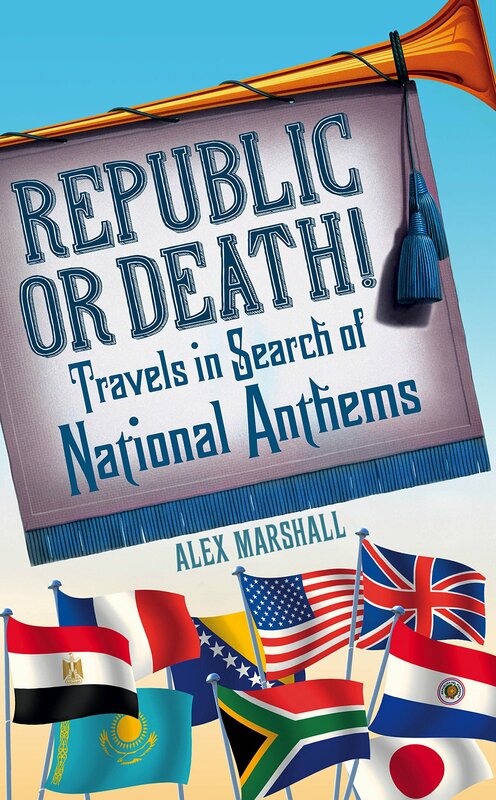 Having an anthem with both languages could be a way to foster a sense of national belonging. A similar argument could be made in Belgium, where there are increasing calls for the Flemish-speaking region of Flanders and French-speaking region of Wallonia to part. The country’s anthem, the “Brabançonne,” can be sung in French, Flemish or German. Why not a new song featuring all three languages? Changes like these are not necessary in countries where different ethnic groups speak the same or similar languages. Still, their anthems could also be rewritten to be more inclusive. Take Rwanda’s, “Beautiful Rwanda.” It talks about the “single language” joining the two main ethnic groups, the Hutu and Tutsi, who fought a vicious civil war in the 1990s. But it does not mention either by name. Would it not be better to spell out who people are, so everyone can identify themselves in the song, than hide the past? A similar case could be made in Bosnia, where Croats, Serbs and Bosnian Muslims are at loggerheads over words for a new anthem. Maybe an anthem change could even help improve Catalonia’s relationship with the rest of Spain. The Spanish anthem, the “Marcha Real,” currently does not have any words, so at least they have a simple starting point. Yes, there are practical issues with doing any of this. It would be difficult for many people to learn anthems in multiple languages, and it would be difficult to fit them all into a one-minute song, let alone a good one-minute song. But if in five or 10 years’ time a new national identity is flourishing in Iraq and helping get a grip on its many problems, I wouldn’t be surprised if other countries start looking at the idea as one worth following. 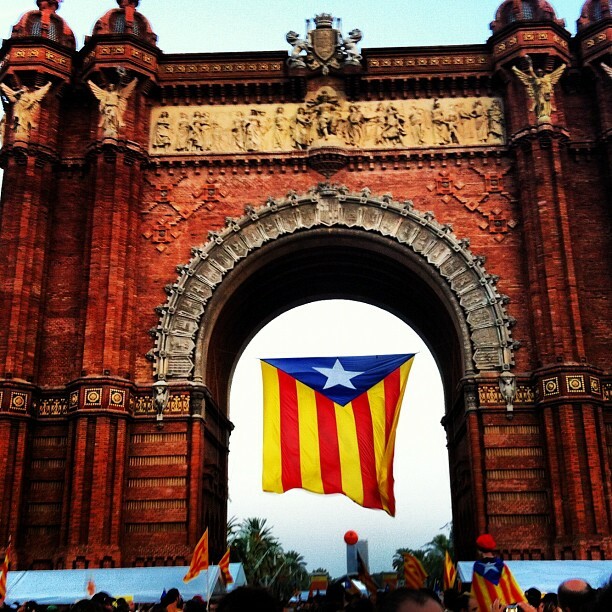 Should Cataluña become independent? Let its anthem decide! Cataluña – the nice part of Spain that includes Barcelona – is once again making a fuss about becoming independent, partly because of Spain’s economic crisis. It actually can’t; Spain’s constitution doesn’t allow regions to split off. But ignoring that little stumbling block, should it be allowed to? Let’s decide by having a look at the most important of issues: its proposed national anthem, Els Segadors! The music: If Cataluña were a place where the sun only shone once a year, and where there was little hope of even weeds growing – Siberia, perhaps – Els Segadors (The Reapers) would be perfect. My God it’s depressing, full of minor chords tumbling downwards as if the orchestra’s been made to play while trudging through mud. It was written in the 1640s when Cataluña began fighting an uprising against the rest of Spain. Most of the Catalans involved were actually peasants armed with little more than the sickles they used to cut fields. Perhaps the person who wrote it realised there was little chance of them winning, so wrote an anthem to soundtrack their doom. The lyrics: You only need the briefest scan of Els Segadors’ lyrics to see why Catalans love it. It basically gives the rest of Spain, and especially the Castilians of Madrid, a mighty kicking. It certainly beats Spain’s anthem, la Marcha Real. Although as that doesn’t have any words, it’s at a bit of a disadvantage. Is the song good enough to allow Catalonia independence? Clearly no! A new country needs optimism and hope in an anthem, not a song that makes you want to lock yourself indoors with a bottle of pills and several bottles of gin. Someone tell Artur Mas – Cataluña’s president – to commission something new!